This fabric is one of the most deamding fabric in our range. 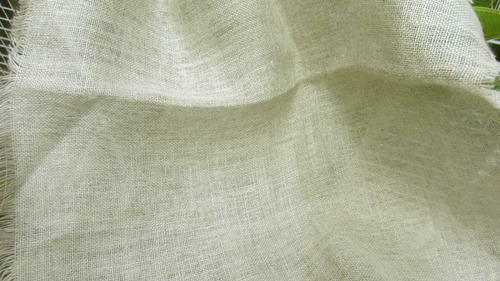 The fabric have a beautiful Natural linen shade, with is perfect for making curtains. We "Jp Handloom" are one of the topmost organizations of the industry engrossed in manufacturing, exporting and supplying a broad range of Knitting and Hand Spun Yarn, since our inception in the year of 1992. In our optimum quality product range we are offering Knitting Yarn, Mulberry Silk Knitting Yarn and Organic Eri and Muga Silk Yarn. These products are designed using superior grade basic material. Due to their attractive pattern, smooth texture and accept smaller quantity order also, these products are demanded by the various customers. Our products are designed under the direction of our highly experienced professionals. We procured basic material from the trusted and reliable vendors of the industry. To meet the varied demands of our clients, we are manufacturing these products in various sizes. We are also supported by a team of talented personals, which strives hard to fulfill all the objectives on due time. For providing this quality approved range, we have huge client base across the globe. We are exporting our products in U.K, U.S.A, Brazil, Germany, Japan and Australia.